This sleek and contemporary work desk is the perfect combination of function, durability, and design in a modern form. 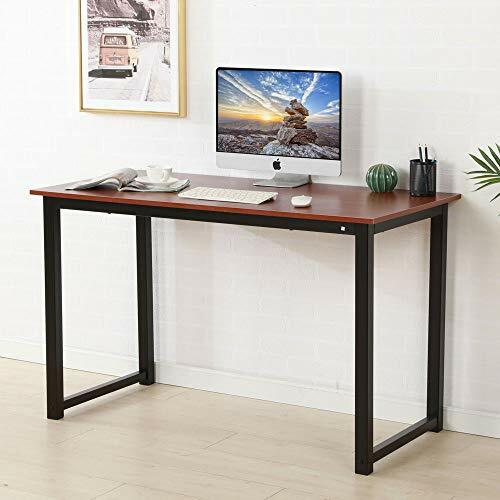 With clean lines, thick panel construction and track metal legs, this desk will add pizzazz to any home office. The desk top provides the ideal surface space for a lamp, picture frames, laptop or tablets to meet your working needs. ◆ Durable metal frame with powder coat finish. ◆ Low on maintenance, this computer desk can be cleaned by using a soft dry cloth. ◆ Great for homeschool students, college student. ◆ A suitable size for a depart. If you have any questions about this product by JOYBASE, contact us by completing and submitting the form below. If you are looking for a specif part number, please include it with your message.